In the live casino, playing live casino games in a real casino is made possible through a direct connection to the physical casino. But this physical casino is of course no casino floor with customers walking around, but uses cameras to monitor the dealer and the game. 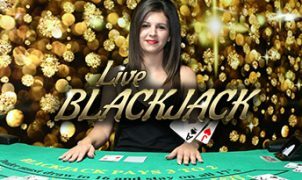 This ensures that you can track everything in the physical casino with ears and eyes and thus be witness to all game operations by the live dealer. An account at the online casino also gives you access to games in the live casino. After selecting a table here, a live connection will be immediately made with the real casino. This will ensure that you get a live picture of everything that happens at the particular game table below which a live dealer is sitting or standing. Through this live connection, you can track what’s happening at a particular moment, and you can see everything happening in an honest way. Depending on the online casino, a connection is made with either the Portomaso Casino or another live casino provider. Each online casino has the option to use whatever software they want. And most casinos use their own software, which ensures that the live game is taken to the online casino website. In all cases there are cameras that capture the game and the live dealer from one or more corners. So it doesn’t matter whether you are playing Live Poker, Roulette or Baccarat, the trick is that the camera will upload to the online casino by a server belonging to the appropriate table and you can login whenever. This is going to be so fast that this should not be noticeable for you as a player. 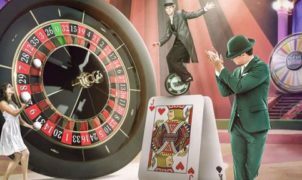 Some online casinos will require players to download their software before they can make use of the live game offer, but in general casinos will have software that makes it possible to play in the browser. Often these games are created by Flash of Java.